Hypothesis: SCP-343 is an entity that claims to have created the universe, my hypothesis was that asking some questions to SCP-343, we could know many things that the humanity has wondered for all eternity, so what I did was ask him the questions that humanity has questioned through all the history. -JR Simba: First, do you promise to answer all questions truthfully and without manipulation? -JR Simba: Perfect, do you remember how and when you were contained? -JR Simba: Moving on, you claim to have omnipotence, do you claim to be a "god" or just someone like the rest. -JR Simba:So, you claim to have created everything in the universe, including the SCPs, Do you also have the power to destroy? For example, if we asked you to destroy SCP-096, you could? -JR Simba: Lets say an 05 ordered you to destroy an SCP, would you follow that order? -JR Simba: If you claimed to create life in earth, this means you also created death? And know what happends in the afterlife? -JR Simba: Is it possible to explain in a cientific way that humans understand? -JR Simba: Can you explain what happends when you die? -SCP 343: most of the time i can see what or where you will go in the afterlife to Heaven be reincarnated ETC, but some times the things you do in your life are so horrific i cant help you..
-JR Simba: Do you believe in the bible and what it stands for? If you do, what do you think of atheist? -JR Simba: You love humanity? -JR Simba: If you do love humanity like a father to his sons, why create the keter class SCPs that can be deadly to us? -SCP 343: there are just some people here, i believe you call "D Bois" and they have been sent here because they have failed in the real world, and sadly you are just here for the ride. 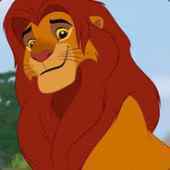 -JR Simba: So your saying you created SCPs to kill the d bois? -JR Simba: Whats the meaning of existance of SCPs like 999? -JR Simba: Anyway, last question. If you were to give your powers to someone, you would? -SCP 343: in this Facility REDACTED has control over majorty of my powers, so in all honesty it would be up to them, they would prob keep the powers. Errors and/or safety hazards: No errors happend, the SCP complied and gave interesting answers. Conclusion: SCP-343 has given interesting answers, we can tell that he created the SCPs for killing D boys, we now know that after death there is an afterlife, called by SCP-343 "heaven" or "hell", apart from this we also know that SCP-343 believes in the bible and what it stands for, this meaning that the bible is actually true, we also know that SCP-343 can perfectly destroy any SCP that the *REDACTED* orders him to destroy, we know by the phrase "the other godly figures" that there are more SCPs like him with omnipotence and that has to be found, and last but not least, we know that SCP-343 can give his powers to somebody else if *REDACTED* orders him to.